In today’s world, everything is in motion and seemingly done “on the run”. It’s become a way of life. That’s why Fineline Settings has developed its new TINY TEMPTATIONS LIDS collection to go with one of their most their popular and active collections – TINY TEMPTATIONS. These new lids will help active businesses and people keep their foods fresh, to allow them to prepare their foods ahead of time, and make them incredibly easy to transport. Designed to allow stacking, the new TINY TEMPTATIONS LIDS are perfect for caterers who prepare their food off-site in advance and then transport it to the party hall or tent in trays. They also work great for caterers doing functions in their own party halls that simply want to prepare portions of the meal ahead of time and store for quick assembly at mealtime. When Fineline Settings initially created TINY TEMPTATIONS, they did it with the caterer in mind. Now, the new TINY TEMPTATION LIDS have been developed in exactly the same way. And, as good as the new TINY TEMPTATION LIDS work for caterers, they work equally well for deli’s and bakeries making sure that their foods stay fresh and ready for serving. 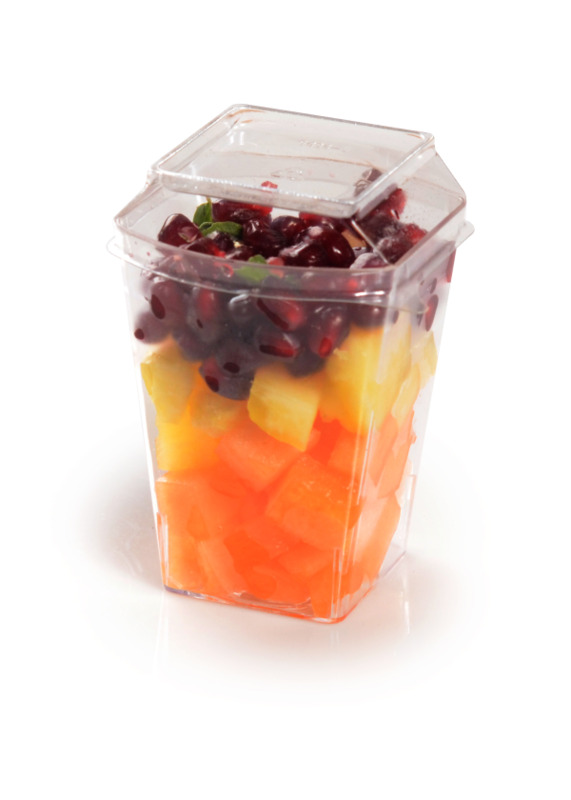 Like all Fineline Settings products, the new TINY TEMPTATIONS LIDS are made of unbreakable plastic so they are great for foods hot or cold and, of course, are recyclable. 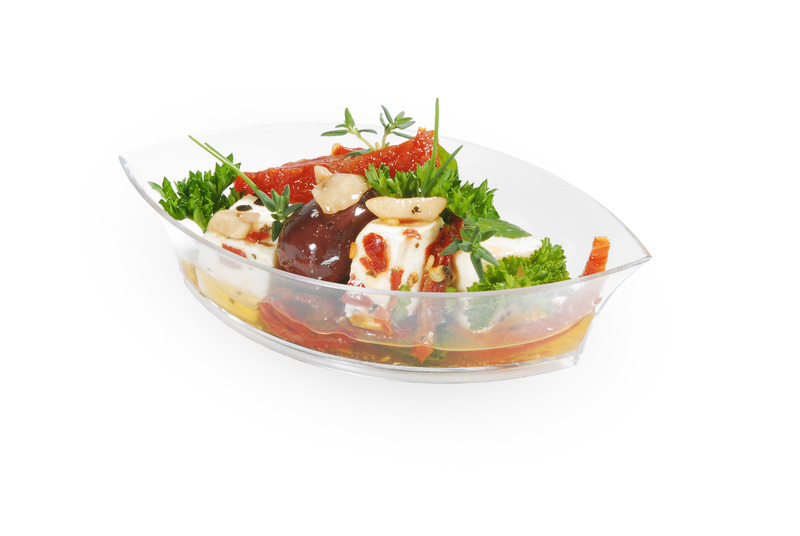 As with each of their exquisite lines, Fineline Settings has continued to shape the history of the plastic tableware industry with its new TINY TEMPTATIONS LIDS. Fineline Settings continues to design the industry’s present course, and with your interests in mind, they look forward to the pleasure of designing the future. 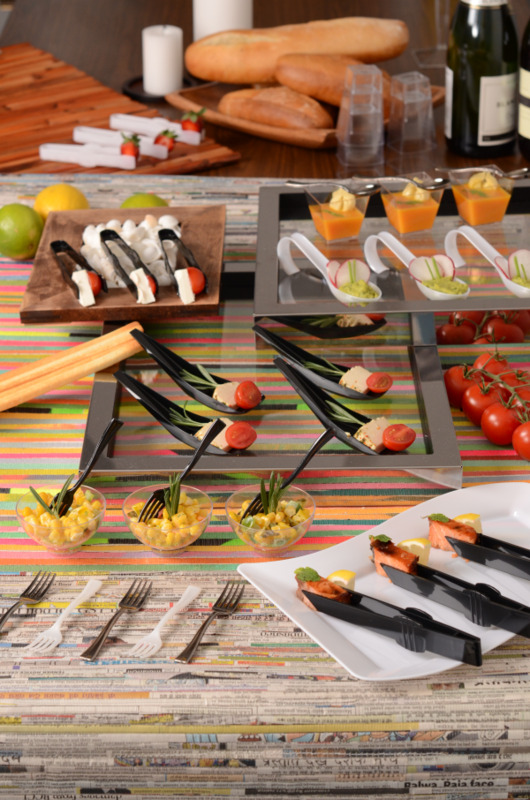 Since it was founded, Fineline Settings has quickly revolutionized the single-service and disposable tabletop marketplace in terms of quality, design, and service. Through listening to the marketplace and the offering of both dinnerware and drinkware, Fineline has products that fit virtually every niche imaginable for the hospitality industry. With disposable plastic plates and cups up to elegantly designed single-service tableware – Fineline Settings has it all. Summer is here and everyone feels it in the air. We felt that we would like to instill the spirit of summer in each and everyone of our fans and customer the like, so we're starting off the summer season with some great free giveaways to you. This week we start by giving away a free pack of our great Tiny Temptations - 4.25" x 2.3" Tiny Treasures - disposable appetizer dishes. 10 lucky US residents will receive a pack of 10 miniature disposable dishes that they can use for their next party. These are really great and unique products for every party starter. whether you're having a pool party or indoor party, this is just a great dish to serve your appetizer or signature cocktail foods. Finger foods go great as well. Click here to see the full details of this dish and more about our other fine Tiny Temptations collection. We know you'll love this free promotion and we're sure you'll enjoy your free pack of the Tiny Treasures as well, so enter to win today because this promotion ends 6/14/2012. Stay tuned and see what's next. Have an idea what you would like us to give away or promote? Let us know by dropping us a note at marketing @ finelinesettings.com, we're all ears and listening to your great comments and suggestions. Until then let's get ready for a great summer and party season! Bloggers: Want to tell your readers about our giveaway and post this widget on your blog? It's easy, just follow this linkto get the embed code. All entries from the widget come to us.